Google self-driving cars returning to their base in Mountain View, California are my loyal companions each night as I drive back after teaching my Stanford CSP IoT course. They inspired my research to talk to the disruptors of autonomous vehicle space - leaders from the autonomous vehicle industry, automotive OEMs, transportation companies, regulators, global city leaders, venture capitalists. I reached a steady realization that the disruption is beyond Automotive and Transportation industries. We are witnessing a historic moment in mobility and the birth of new business models, new mobility designs, and the transformation of related industries—automotive, transportation, freight, insurance, infrastructure, retail, and others. The autonomous vehicle is going to create a mega-version of the always-on mobile customer with car data expanding the world of mobility services. I will not stop till I find the business drivers and explore business model evolutions and help entrepreneurs and corporate innovators shape the global autonomous vehicle ecosystem. Introducing "2030 The Driverless World: Business Disruptions from Autonomous Vehicles"
What can new startups build to provide mobility services for parking, retail, infotainment, insurance or health services? How will ownership models change with ride-sharing companies using self-driving cars? How will Auto OEMs manage this strategic inflection point to their industry? What about the future of autonomous car design? What business models will sustain and propel this innovation? What is the role of Car Cognition technologies in shifting this space? How will the city infrastructure scale to get ready for the autonomous world? In this transition to a driverless world, how will human driven cars share the roads with driverless cars? Where are the gaps to innovate for entrepreneurs in all this? What industries are disrupted and how can corporate innovators manage this digital transformation? I am teaching a new course at Stanford Continuing Studies Program this semester, Fall 2017, called “The Business of Self-Driving Cars”. If you are local near Stanford, you can register for the class here. This course begins by teaching entrepreneurs and business leaders about the autonomous-vehicle landscape, covering everything from the technology of the self-driving car and Car AI to regulatory and policy issues and how to create value from autonomous-vehicle data. Each week we analyze industry players big and small. I have developed an Autonomous business framework for building new businesses in this dynamic space, and for creating new opportunities for companies. This framework will encompass mobility solutions, product management, design, market development, partnership, and business models. I guide my students, the innovators of tomorrow, to apply the business framework each week to build out their business plans. Students can optionally present their plans in teams to a panel of Autonomous Vehicle (AV) venture capitalists judges to understand the AV investment landscape. See below on how to contact me. I would love to hear from you if you share any of my passions or have experience to share in the evolving business landscape of autonomous vehicles. 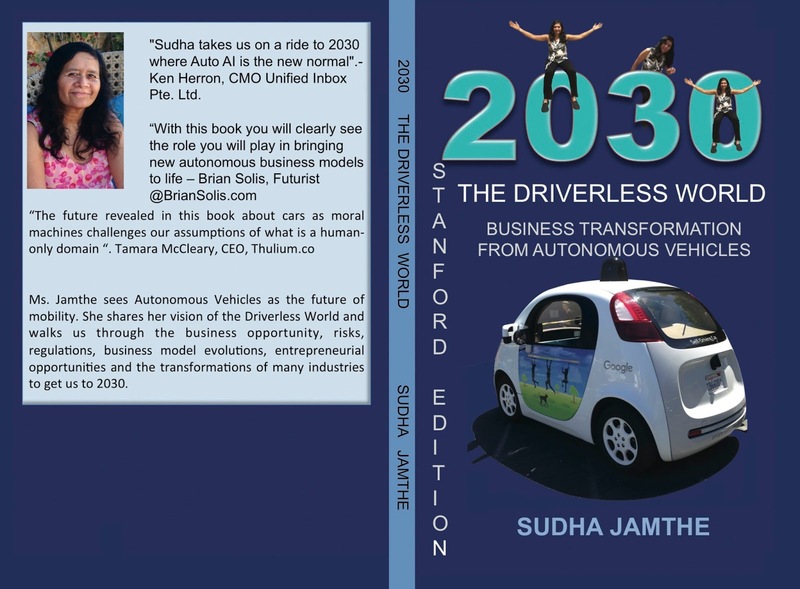 Sudha Jamthe is the CEO of IoT Disruptions and a globally recognized author, technology futurist and entrepreneurial business leader, passionate about the Business of Cognitive IoT, Machine Learning, and Autonomous Vehicles..She teaches entrepreneurs and corporate intrapreneurs at Stanford CSP courses about IoT Business and Business of Self-Driving Cars. She loves to write/talk/teach about the business of IoT and Self-driving cars and enjoys mentoring business leaders on digital transformation and shaping new technology ecosystems. 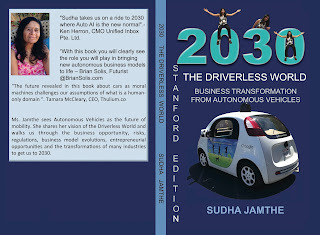 Her IoT books and Driverless World books are available on Amazon. Signup on iotdisruptions.com for her newsletter about IoT, AI, AV Disruptions. The new racing game is realsed for iOS.This game is awosome if you want to play this game please go tho this link and download th Asphalt 9 legends apk mod and enjoy.